Whether you're a newly diagnosed bladder cancer patient, a survivor, or a friend or relative of either, this book offers help. 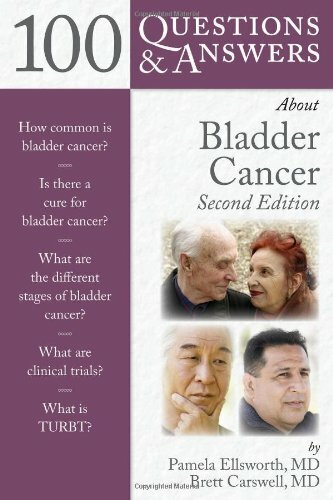 The completely updated and revised 100 Questions & Answers About Bladder Cancer, Second Edition gives you authoritative, practical answers to your questions about current treatment options, post-treatment quality of life, coping strategies, sources of support, and much more. Written by a prominent urologist, with insider advice from actual patients, this book is an invaluable resource for anyone coping with the physical and emotional turmoil of this frightening disease.